While I will also purchase a baby shower gift off the mother-to-be’s registry, I really enjoy giving something that is handmade. My go-to handmade gift? 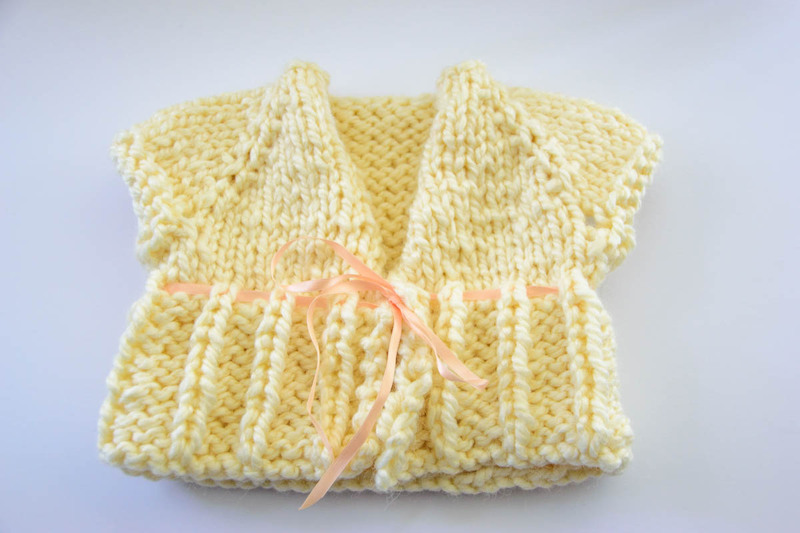 A knitted baby sweater from Gina Bonomo – Bitty Bump or, if the baby’s a boy, Bitty Boy Bump. I found the pattern on Ravelry about 3 years ago, and have made four or so of them since. 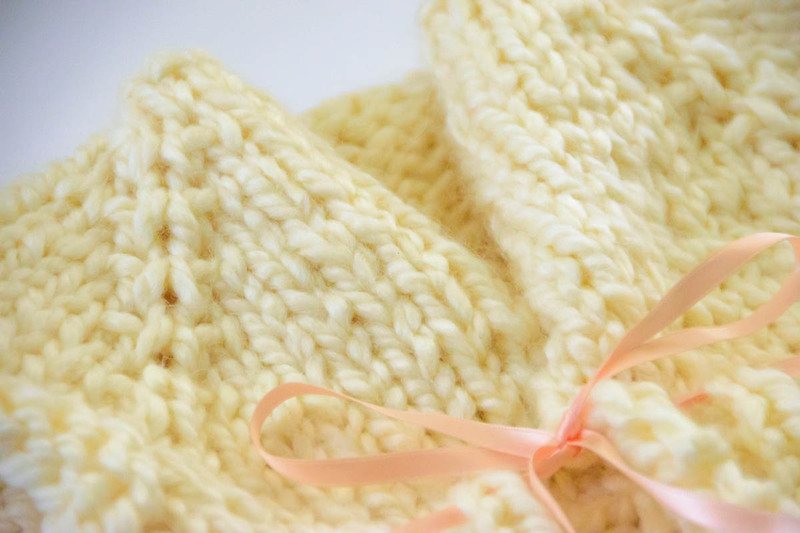 I usually will make the little girl’s sweaters from white or off-white, and the boy’s sweaters in a darker color – blue or maroon. The closures also vary – buttons or ribbon closures – so each one is unique. The most recent one, I wrapped the ribbon through the knitted stitches all the way around the waist. Other times, I’ve used a shorter ribbon that just tied the front pieces closed. 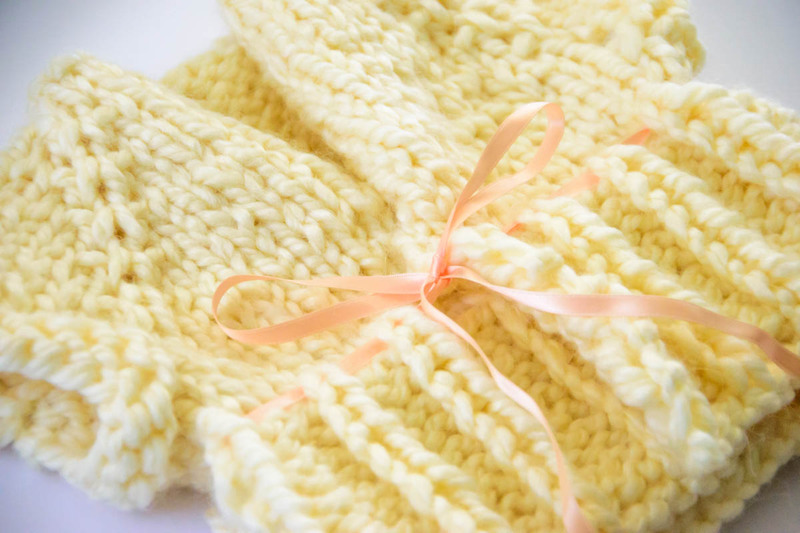 The knitted stitches are big enough that buttons and ribbons slip through easily, making it very adjustable. 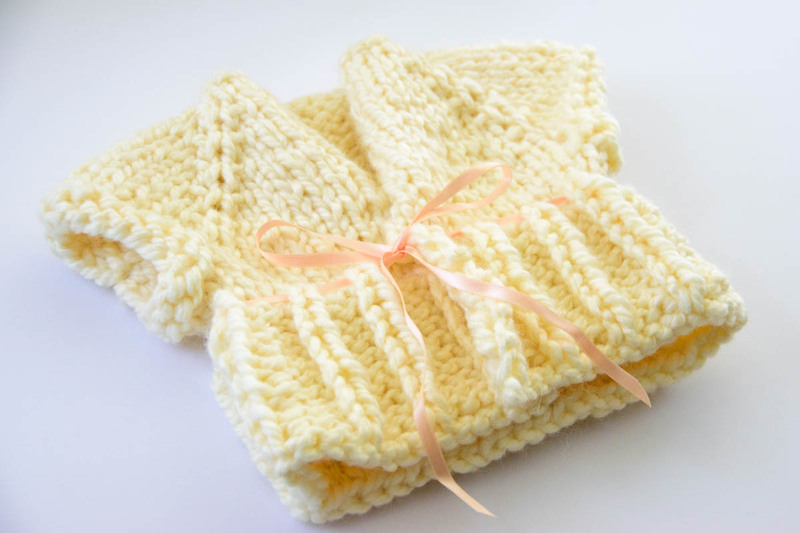 The pattern uses large (US size 15) needles, super bulky yarn, and works up quickly. I’m not a super-fast knitter by any means, but I can finish one of these sweaters in about 3 hours. The super bulky yarn makes them very squishy and warm, and I’m tempted sometimes to see if I could make an adult-sized one to wear around the house. 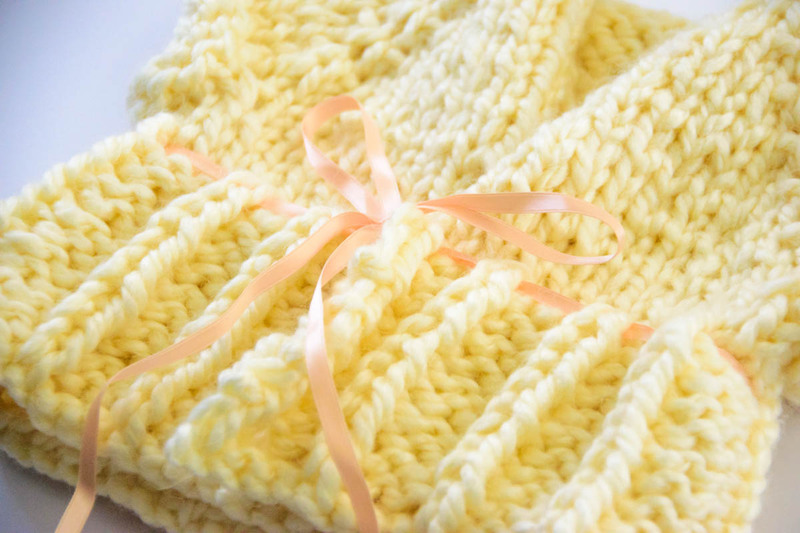 Do you have a baby shower gift that you love to give?